I am attending Cisco Live US 2014 this year on the “Social Pass”. If you are a World of Solutions vendor and would like to brief me or otherwise discuss Packet Pushers business, I’d be happy to chat. 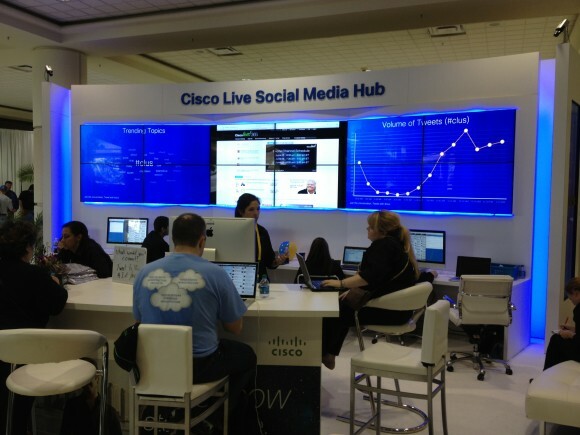 If you’re a fellow networking nerd and want to talk about whatever, I’ll be blogging from the Social Media Lounge quite a lot, hanging with the Tech Field Day crowd, or running around to Cisco Champions briefings. Either way, send e-mail to ethan.banks@packetpushers.net, and let me know you’d like to connect! Hanging with my good friend Greg Ferro at the CLUS 2013 Customer Appreciation Event. More awesome peeps at CLUS 2013 CAE. CLUS 2013 is where I met Chris Wahl. The world will never be the same. Social is where it’s at during CLUS. People matter! Cisco’s Ron Fuller, Nexus nerd like no other, hangin’ with the folks at CLUS 2013. CLUS 2013 peeps bonding via Cards Against Humanity. Can’t wait to see you this year Ethan! It’s been a long year and I can’t wait! I am catching up to you in the shiny scalp department. A ways to go yet, but I’m a little thinner on top each day. Looking forward to CLUS as well – will be a good time. I’m looking forward to catching up with you as well, Ethan. Here’s wishing you a safe trip to SFO and a productive week. Hope to see you there Ethan. Should be an awesome event.